Bakersfield (June 21, 2015)—The Academy of General Dentistry (AGD) is pleased to announce that Dr.Anthony Ching, DDS, MAGD, of Bakersfield, CA, received the association’s Mastership Award during the AGD 2015 annual meeting, which took place June 18 to 21 in San Francisco. 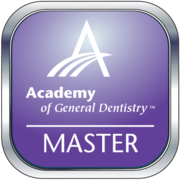 The Mastership Award is the AGD’s highest honor and one of the most respected designations within the profession. To earn this award, Dr. Ching completed 1,100 hours of dental continuing education. As a Mastership Award recipient, Dr. Ching joins more than 2,200 active AGD Masters who have gone above and beyond the basic requirements to care for their patients’ oral health. Only 1.5% of dentists in the United States have received this distinction. “This award requires an extraordinary amount of time and effort,” says AGD Immediate Past President W. Carter Brown, DMD, FAGD. “Dr. Ching should be commended for his unflagging commitment to continuing education, which allows him to provide the best possible dental care and oral health education to his patients. Dr. Ching graduated from the UCLA School of Dentistry in 1990 and has practiced dentistry in Bakersfield since 1990. CHICAGO (August 1, 2011)—The Academy of General Dentistry (AGD), a professional association of more than 37,000 general dentists dedicated to staying up to date in the profession through continuing education to better serve the public, is pleased to announce that Anthony G. Ching, D.D.S., FAGD, of Bakersfield, CA, received the association’s 2011 Fellowship award during the AGD 2011 Annual Meeting & Exhibits, held July 28 to 31 in San Diego, Calif. The Fellowship award is presented to dentists who seek to provide the highest quality of dental care by remaining current in their profession. To accomplish this goal, Dr. Ching completed 500 hours of continuing dental education, passed a comprehensive exam and fulfilled three years of continuous membership in the AGD. As a recipient of the Fellowship award, Dr. Ching joins more than 7,000 active AGD Fellows who understand that providing great smiles and good oral health for their patients are the result of going above and beyond basic requirements. Dr. Ching graduated from the University of California Los Angeles, UCLA School of Dentistry in 1990 and currently practices dentistry in Bakersfield, CA. In addition to the Academy of General Dentistry, Dr. Ching is a member of the Academy of Dental Sleep Medicine. He also is certified in adult and pediatric oral conscious sedation. Dr. Ching has been serving the community of Bakersfield since 1993. Dr. Ching did an additional one year post-doctoral residency at the UCLA School of Dentistry in 1991, Advanced Education in General Dentistry (AEGD), and served on the UCLA Dental School's faculty from 1990-1997. The Academy of General Dentistry (AGD) is a professional association of more than 37,000 general dentists dedicated to staying up to date in the profession through continuing education to better serve the public. Founded in 1952, the AGD has grown to become the second largest dental association in the United States, and it is the only association that exclusively represents the needs and interests of general dentists. More than 772,000 persons in the United States are employed directly in the field of dentistry. A general dentist is the primary care provider for patients of all ages and is responsible for the diagnosis, treatment, management and overall coordination of services related to patients’ oral health needs.